Are you affected by “something” and can’t get to the bottom of what is causing your discomfort, agony or recurring symptoms? Allergies are increasing progressively. Allergy is the description commonly used to describe adverse reactions and abnormal responses to a food, drug or something in our environment, which usually does not cause symptoms in most people. A sensitive person may react to even minor quantities. The word “Allergy” has become interchangeable with intolerance, sensitivity, hypersensitivity, substance sensitivity, energy toxins and allergy like reaction, essentially representing anything that weakens our body’s immune or energy system. Besides the known traditional allergic problems, any undiagnosed, vague or untreatable symptom can be from an immune system reaction. 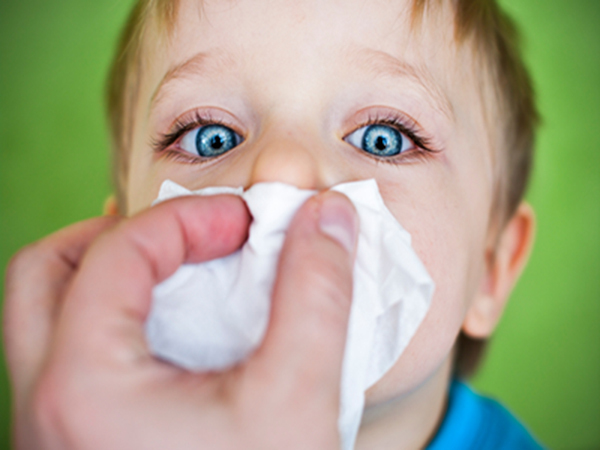 Allergies are often found to be an underlying cause or contributing part of the problem. Any symptom can be caused by a substance reaction-and in turn-any substance can become an “allergen” and trigger or cause reactions. Foods and environmental substances are also known to worsen symptoms or conditions. The body’s ability to cope with everything we eat or are exposed to is dependent on many individual many individual factors. Often it is the accumulation or “rain barrel” effect that reactions all of a sudden develop or break out. One of the main contributing causes in the rise of allergic reactions is “stress”and “over exposure”, also to too many artificial, synthetic or “hazardous” substances and the increase of electromagnetic radiation. There are many reasons for the increase in food and environmental sensitivities. The most obvious reason is that we are being exposed daily to more and more chemicals and substances that our bodies were never exposed to during our evolution. Today we are inhaling and ingesting chemicals on a daily basis, whose names we can? ?t even pronounce, yet assume our bodies will be able to determine if they are healthy for us. There is much misunderstanding about these two terms and they are frequently confused. 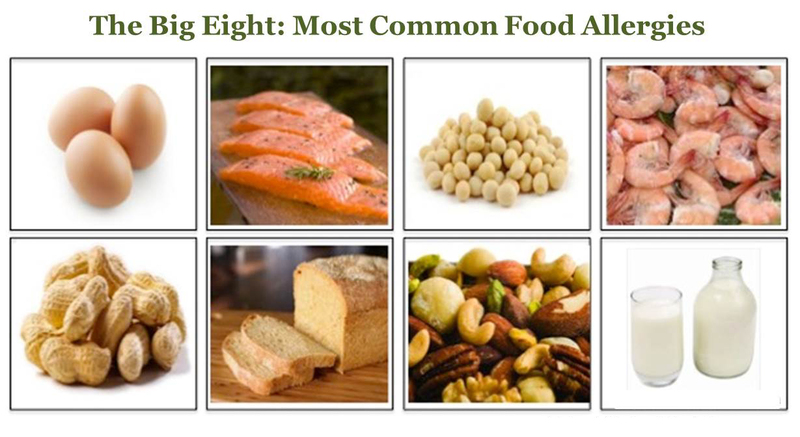 Many people speak of Food Allergy when What they describe is likely to be Food Intolerance. Food Allergies are an autoimmune response caused by the body “misreading” a food protein as an enemy or toxic substance. An Allergy is a rather fast response by the body’s immune system to a perceived invader. Signs or symptoms are typically immediate, dramatic and visible: coughing, sneezing, vomiting, migraines, watering eyes, rashes, swelling tissue, hives-or in severe cases an anaphylactic shock which requires emergency intervention. However other symptoms like the gastro-intestinal responses nausea, vomiting and diarrhea can be delayed for hours or even days. 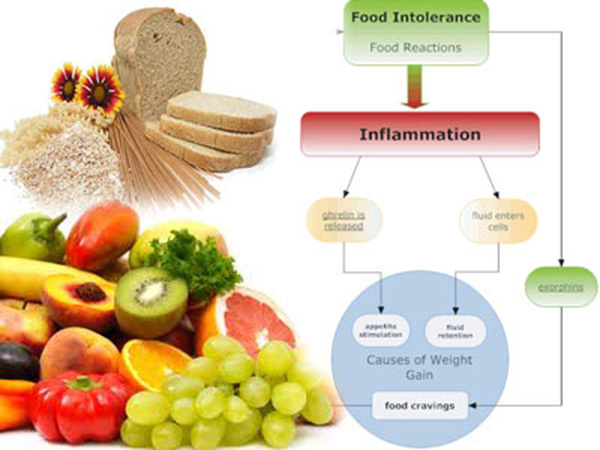 Food intolerance on the other hand is an inability to process a particular food. It is also thought to be an immune system response. The gastro-intestinal tract in some people is simply unable to produce appropriate enzymes for normal chemical breakdown. The food passes through unprocessed, or lingers in the gut fermenting producing excess gas. Allergy -like reactions take the form of both physical and emotional symptoms. These reactions can be responsible for a myriad of symptoms including A.D.D., anxiety, depression, arthritis, respiratory problems, digestive problems, chronic fatigue, brain fog and panic attacks. Anaphylactic shock In severe cases there is an anaphylactic response where tissues swell up to two or three times their normal size, swelling up so rapidly that they obstruct breathing. These allergy sufferers gasp for air and can suffocate and die if not given emergency treatment (e.g. By the administration of adrenalin by paramedics, teachers, carers or medical staff). Reactions are experienced differently by every person; ranging from temporary sensitivities, intolerances, to severe allergic reactions, or life threatening anaphylactic shock??anaphylaxis). Very often there are more than one allergen involved in causing reactions such as-itching, swelling, sneezing, wheezing, and various other symptoms, It is primarily the immune system, that is affected or weakened, and may react or give rise to a vast number of complaints. Dark circles under eyes, swollen or red around eyes, red ears and cheeks, itchy nose/ears/eyes, behavioural or mood changes like “sudden” irritability, hyperactivity or withdrawal symptoms, changes in handwriting/drawing. – Mental/emotional disturbances” anxiety”depression, hyperactivity, inability to concentrate, insomnia, irritability and mental confusion. Allergy Test scans and analyses the energy field contained in a small sample of your hair, which contains an energetic pattern of the body, achieve a healthy quality of life. Fee is from €49 age must be over 6 months. Acupuncture is one of the best available treatment for allergies, intolerance and associated symptoms. Acupuncture works with the human bodies energy system- also known as meridians-to balance and regulate the associated organs and systems. Acupuncture is part of Traditional Chinese Medicine (TCM) which also includes Chinese Herbal Medicine, movement and meditation practice such as Tai Chi and Qi Gong, Acupressure, foods for healing and Chinese psychology. TCM has been used to effectively treat allergies for hundreds of years. Both acupuncture and Chinese herbal medicine have been shown to help people with asthma, seasonal allergies, allergic rhinitis, eczema, food allergies and various other allergies and associated symptoms. The results of several studies suggest that TCM therapies like acupuncture can be very helpful for any allergic condition.